Beer, Bewbs, BBQ's, Beach, Boosting. Not a basic and easy job but it's fairly straight forward & I'll run through the process in the order that I find easiest. There may be differences in model revisions that I am unaware of but you should be able to work with this DIY. If you have additional information, methods or techniques that you feel may assist this DIY please feel free to chime in. Also note that I have used a couple pics from other forums and thanks goes out to the people who originally posted those pics. I lay a folded up blanket across the the top of the engine for a padded surface to lay the intercooler on once it is off & flipped upside down. Be careful not to damage the fins or bang the intercooler around. 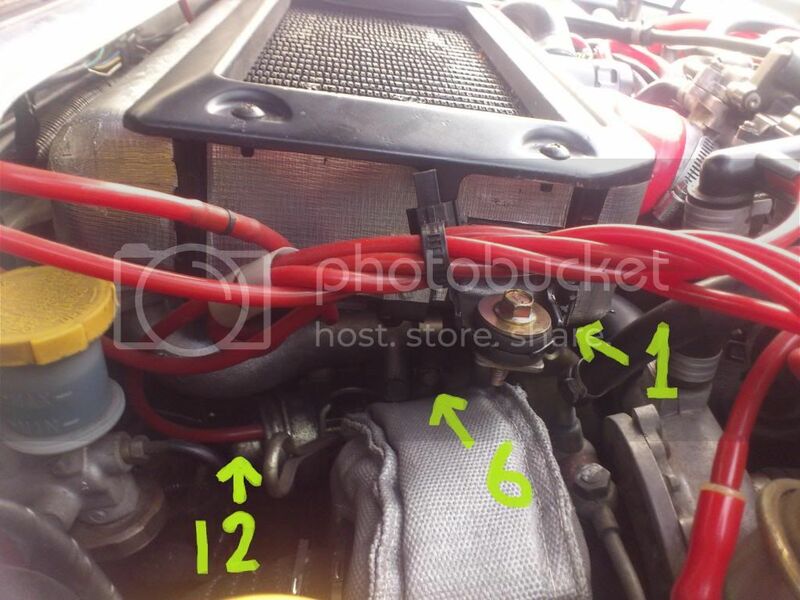 If you need to remove the intercooler entirely from the engine bay you should label the vac line that connects to the actuator. 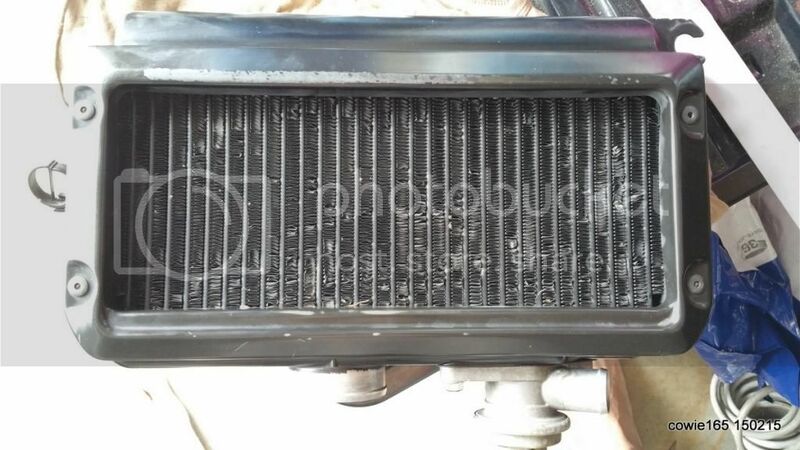 The other three lines that connect to under the intercooler may be repositioned in any order but I wrap a piece of tape around them to keep them together and out of the way. If you have a strut bar you may need to remove it for access. 03) Remove the clip to free the vac lines from the intercooler shroud. 04) Loosen the main inlet hose clamp connected to throttle body 8mm pipe clamp. 05) Loosen the driver side intercooler plastic hose connecting to secondary turbo, 8mm hose clamp. 07) Loosen the passenger side intercooler plastic hose connecting to the primary turbo, 8mm hose clamp. 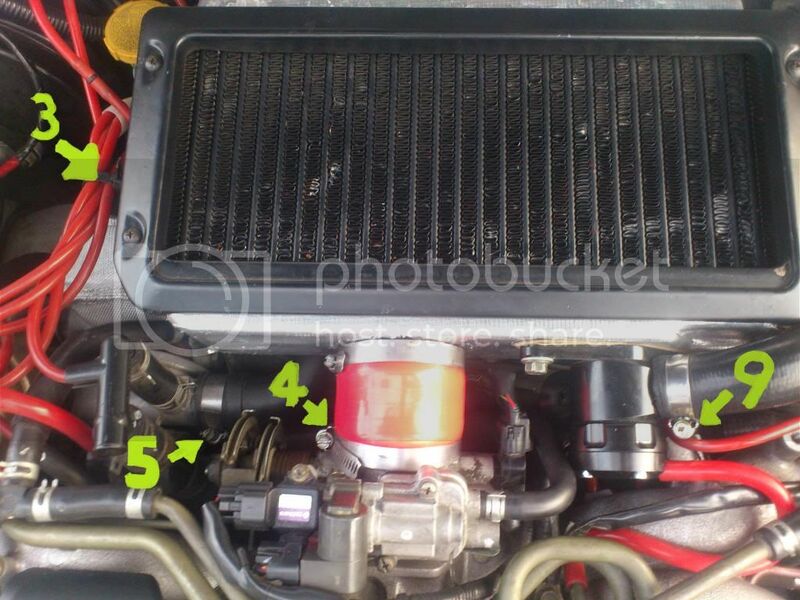 10) Wiggle and pull upwards the intercooler on the passenger/primary side until the plastic hose pops off the primary turbo outlet and the main throttle body hose is clear of the throttle body. Then the intercooler should lift out. 11) Carefully lift and flip the intercooler being mindful of the connecting vac lines underneath. 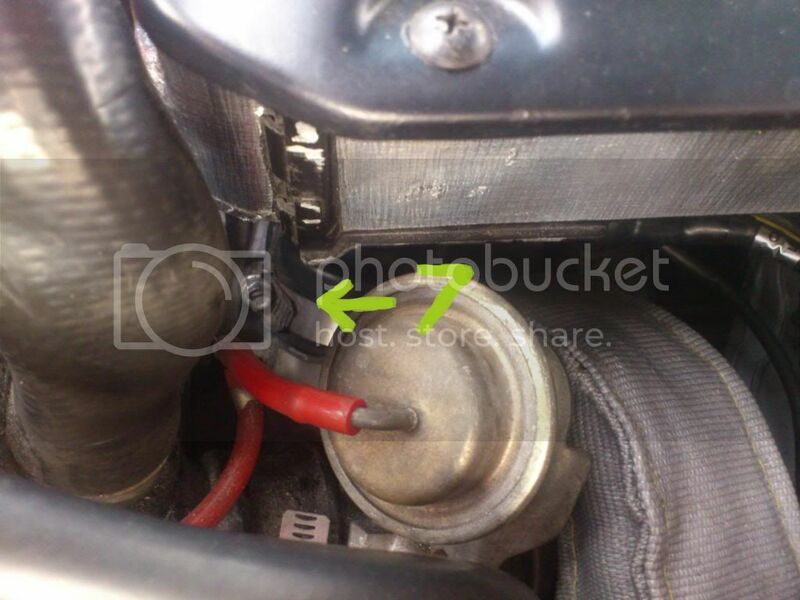 12) Remove and label the vac line to the actuator on the aluminium secondary inlet pipe if necessary. Refitting can be difficult. It's fiddly and can test the patience of even the most experienced mechanic. Just persevere and think logically, if it's not working out for you there is a reason and you need to find it. Be gentle or you will be up for new plastic pipes that connect to the turbos. They're an expensive Subaru only part and easy to destroy. If it isn't going on, don't force it! Remove and inspect the pipes to see if they are round and haven't been bent or creased out of shape. 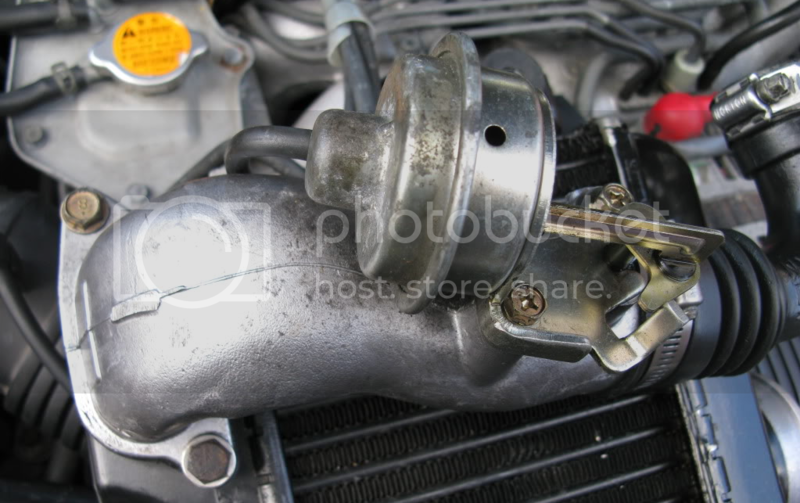 The best thing you could do to make installation easier is to replace the throttle body hose with a silicone one. Highly recommended to assist installation. It makes installation so much easier. Trust me on this! You'll need a 2.75 inch silicone joiner and you may need to trim it to the same shape of the removed joiner with a sharp knife. Some people use a smear of oil on the inside of the plastic pipes to assist them sliding onto the turbos. If you take my advice and get a silicone throttle body hose you won't need to. I actually prefer to keep the connections clean so they seal perfectly and I use wax and grease remover to remove any oil inside the pipes before installing them to prevent any chance of them popping off under boost. It's pretty much the reverse order of removal. 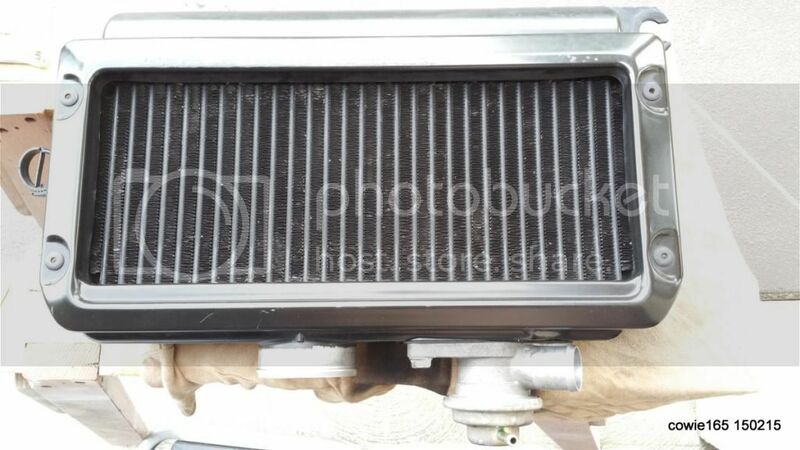 The plastic pipes should be still attached to the intercooler and you should be able to rotate them on the aluminium intercooler connections. You don't want them to come off during the installation process so tighten the clamps just enough to allow some movement. Make sure the 3 vac hoses are connected underneath the intercooler. Secondary (Driver side) This will take some manipulation but there is a flexi join on the pipe to allow for this. Make sure all the hose clamps on the turbo to intercooler plastic fittings are in a position where you can actually tighten them. Check that the intercooler outlet hose onto the throttle body is fitted ok and then the plastic pipes to the turbo outlets are still in place and on the turbo as far as they can go.. Tighten the throttle body clamp first checking all pipes are in position as move to the next pipe for tightening. 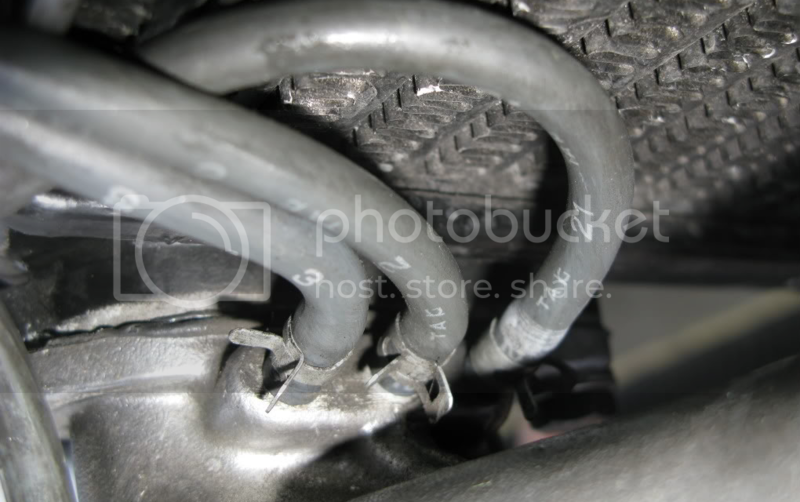 Tighten up all 4 hose clamps on the 2 plastic turbo to intercooler pipes under the intercooler. Refit the passenger side support bracket and attach loosely to the manifold. 2x 12mm. Now tighten the bracket onto the manifold. Refit the recirc hose & spring clip/hose clamp. Attach the "labelled" vac line to the actuator on the aluminium secondary inlet pipe. I now like to tighten up the hose clamps with the 8mm socket 1/4 to 1/2 a turn. Tighten them too much and they will snap. If you get stuck or have any questions feel free to drop me a PM. Nice write up BossJosh. Hopefully I can put it to use in the future! Do u find that the silver heat tape actually helps or does nothing? Interests:long walks behind abandoned buildings. "My eye is watering, this might be a bit hot"
I should just convert to single, right? I think so. I did the heat wrap on the dumps and turbo blankets at the same time so I don't really know how much of a difference the tape alone would make. I think it would have to do something though. Good on you for writing this. The plastic pipes make it the worst. I've done a heap of stuff on Subaru's over the years and this is in my top 3 most hated things. The plastic pipes make it the worst. Farking oath, I put silicone on mine - made it so many betters. Excuse my ignorance, but what are the benefits of using silicone over plastic or the normal rubber? Can you hook a brother up? Please contact me now. I have cash ready. How does it go for longevity in comparison with the other materials? It's stronger, more durable, more flexible, sexier, better all round. Thanks Josh. Worthwhile doing, dare I say it, to an N/A 3.0R? Or would that just make it more of an aesthetic thing? Radiator hoses maybe. Not sure if it would be of much benefit elsewhere ie. vac & brake hoses etc. 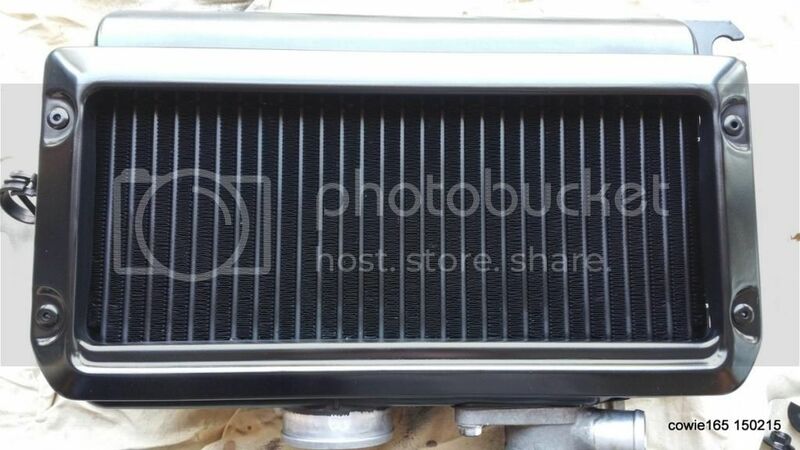 Definitely a great upgrade on factory plastic inlet & intercooler pipes. Sweet. Might add that to my list of things to do then. For the radiator that is. If it does sweet fork all elsewhere then I won't bother adding it. Thanks Josh. Hey Josh, just wanted to say thanks for the write-up. This weekend I changed my hoses to silicone and tidied up the IC. Straightened fins using toothpicks (I want the 3hrs of my Saturday arvo back), and gave it a light lick of paint. Here's a couple of pics. "Installation is the reverse of the removal procedure." What a result! How did you go about paint? 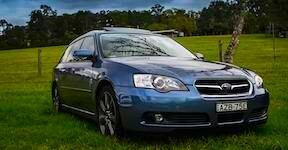 '04 Liberty GT Premium "The Sprog Chariot"
Thanks Jimbo. I masked off around the edge and used some Duplicolor Satin Black caliper paint left over from caliper overhauls a few months ago. I'm not sure if it's the ideal paint for the job, but it was what was on the shelf and I kept it reasonably light across the fins.